I spent the morning teaching the first half of my Fish Baby Log Cabin class. The design was originally created as a baby gift for my swim coach, Andrea Fischer, also known as Fish and eventually made it's way to Sew, Mama, Sew as a PDF pattern. 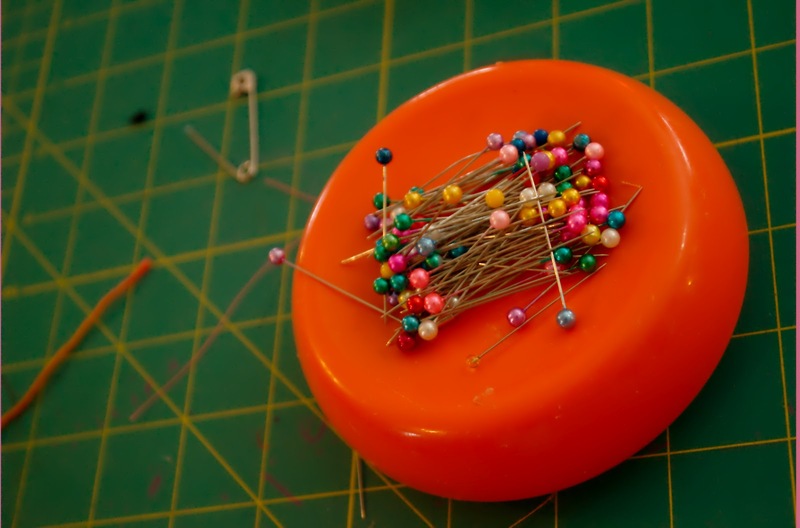 I currently have even grander plans for this pattern, but am also enjoying teaching it to my super-enthusiastic students at Stitch Lab. Here are a few images from today's session. 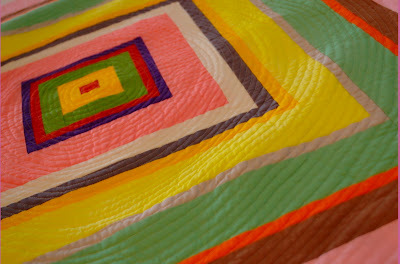 Absolutely gorgeous original quilt and class quilts! I wish I had your eye for color choices. 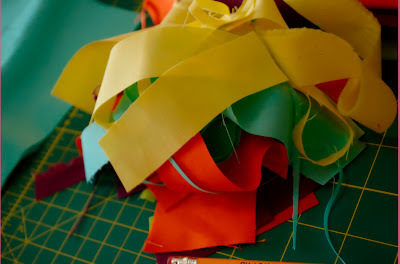 Can you go fabric shopping with me sometime? haha:D Love that baby quilt! Oh that looks so awesome!! come to colorado, dont all texans end up in colorado at one point or another? come up here and teach us a class! lol. This is my favorite baby quilt to make - I've made 2 of them. Your class members' colors are wonderful! 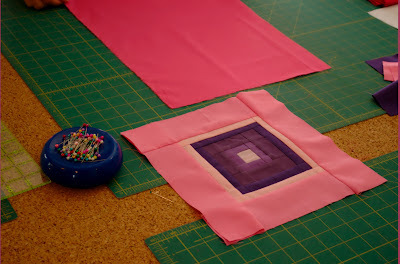 I love the circular quilting, so effective! Wish I had a class like yours close to me...sounds like a good day out! 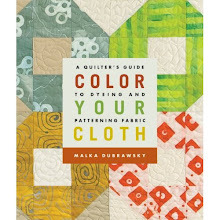 This looks really good and nice quilting. One image of this fantastic quilt top inspired me to whip up a giant log cabin baby quilt last night. Thank you so much! 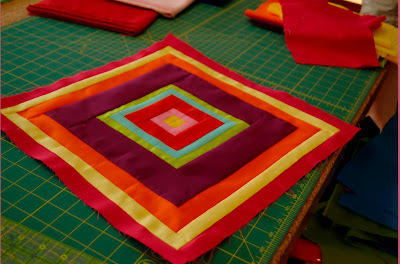 I just blogged about it linking back to you here http://habibtiathome.blogspot.com/2012/03/our-babys-first-quilt.html Such a great quilt and such bright beautiful colors!! Really gorgeous. I am studying the photos to see how to do it. 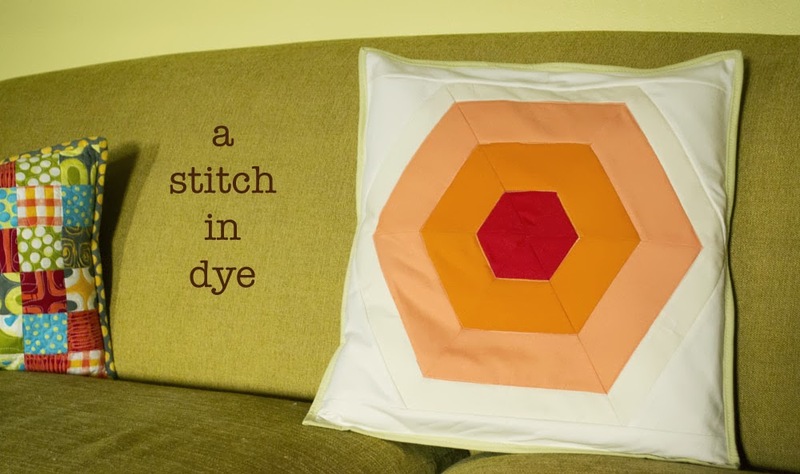 What is particularly impressive is the circular quilting. How do you do that? 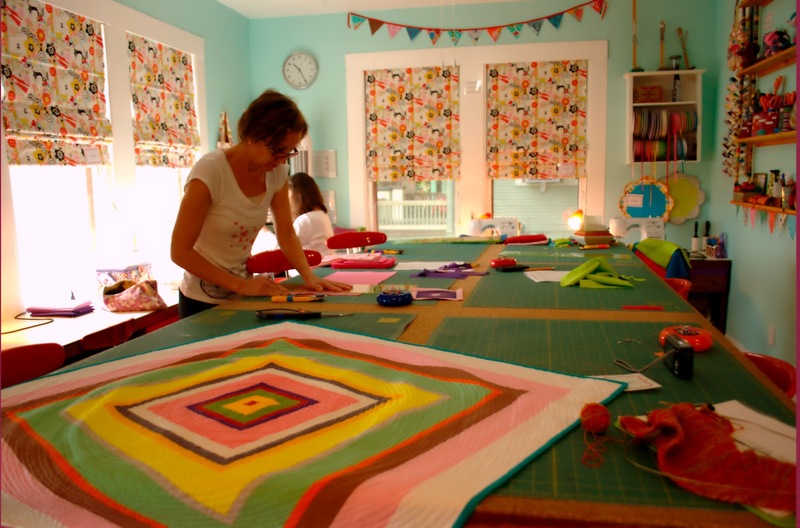 You liberate me from the inferiority complex I have developed about ever,"Perfecting" my quilting skills. I am smart and artistic with perceptual impairments that make straight seams and lines of stitching an endless and disheartening challenge. You have liberated me via one article in Quilting magazine and I am forever grateful.